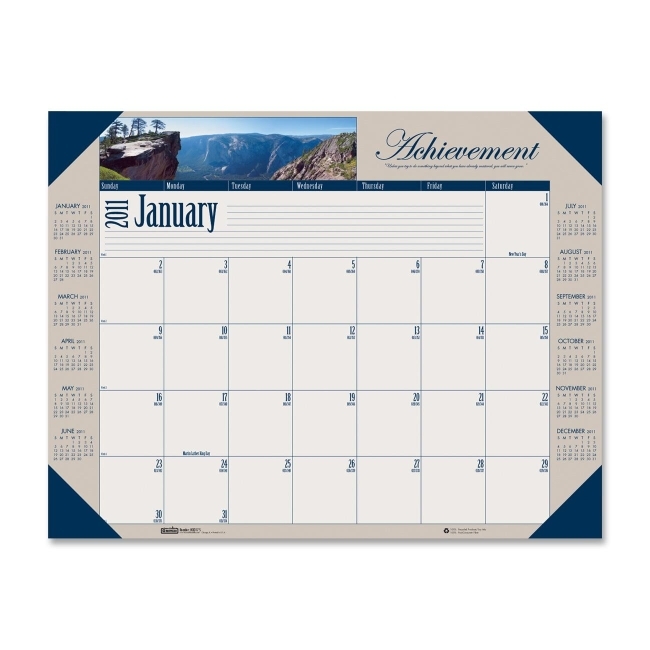 House of Doolittle Earthscapes Calendar - 22" x 17"
Desk pad features an inspirational quote and a corresponding photo each month. Monthly planning pages range 12 months from January to December. One-page-per-month format includes unruled daily blocks, ruled notes section, Julian dates, days remaining, and full-year reference calendar along the sides of each month. Desk pad features four leatherette corners at the bottom. Paper is made of 100 percent post-consumer material. Desk pad is nonrefillable.